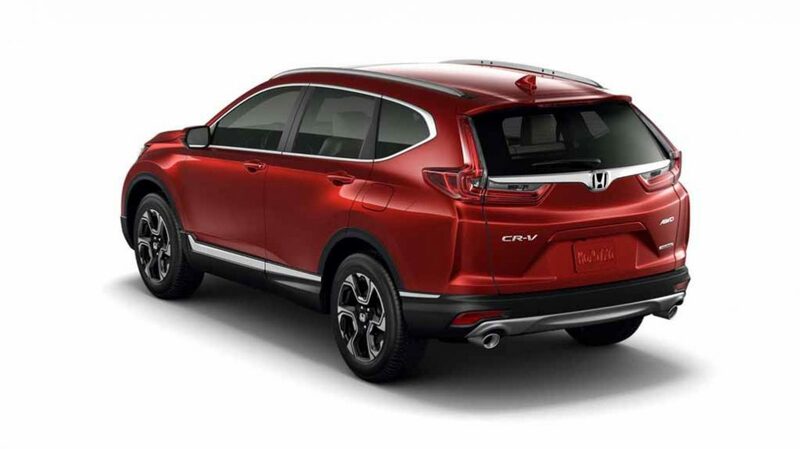 The fifth-generation Honda CR-V has gone on sale in the US and the official pricing details have been announced. Listed in LX, EX, EX-L, EX-L with Navi and Touring trim, the SUV carries a starting price of MSRP $24,045 (Rs. 16.33 lakh) for the base variant which gets powered by the carried-forward 2.4-litre naturally-aspirated four-cylinder engine that sends 184 horsepower to the front wheels. With an additional cost of $1,300 (Rs. 88,297), customers will get hands on the entry-level AWD variant on offer with the same powertrain. The 2017 Honda CR-V is offered with a seven-inch touchscreen infotainment system supporting satellite navigation, Apple CarPlay, Android Auto, voice controls, a two-zone climate control system, auto headlamps, LED Daytime Running Lights, remote engine start, dual rear USB charging ports, heated side mirrors and maximum wheel size of 18 inches depending on the variants. The EX model is priced at $26,695 (Rs. 18.13 lakh) and in which assistance techs like Adaptive Cruise Control and Road Departure Mitigation will be included. 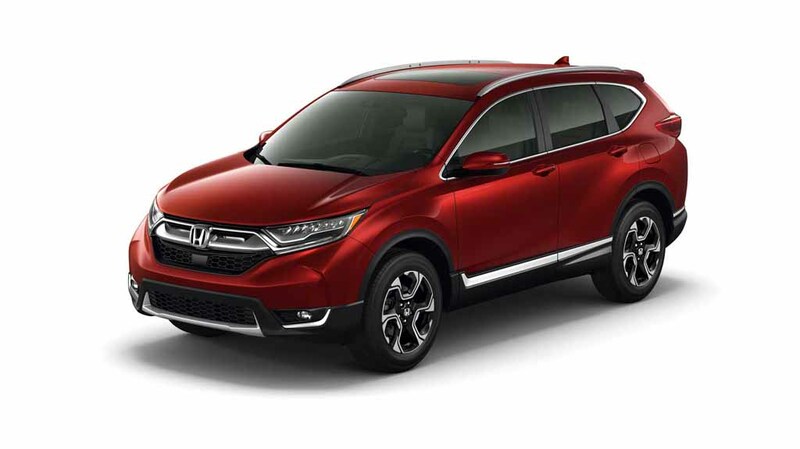 They accompany new standard equipment across EX trims in the CR-V like Traffic Monitor, Blind Spot Assistance, Driver Attention Monitor, Rear Cross Traffic Monitor, etc. 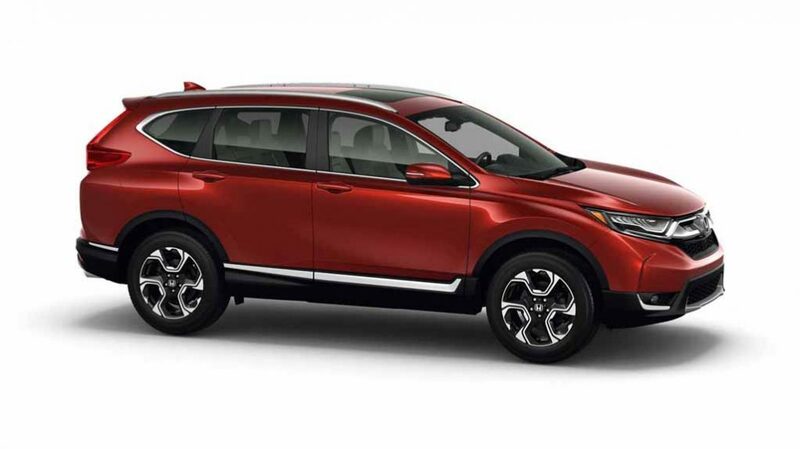 The bestselling model for Honda in the US has the EX trim as the most appealing for customers. Therefore, a new engine has been introduced along the way. The 1.5-litre turbocharged mill develops a maximum power output of 190 hp and 243 Nm torque. Based on the motor that operates under the bonnet of Civic, it is claimed to give good mileage. Both 2.4-litre and 1.5-litre engines are coupled with a CVT automatic transmission which sends power to the front wheels or all-four-wheels as option. The 2.4L unit has new electronic control for improved grip and increased rear-torque delivery. The top-end Touring AWD cost $33,695 (Rs. 22.88 lakh).